I was so tired that I spent most of Friday (Oct. 28th) sleeping. 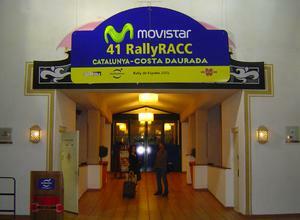 I woke up in the afternoon to learn that we were headed to Salou to watch the RACC Catalunya Rally Race! I'd never been to a race like that so I was totally game. Movistar was the title sponsor of the race so I was a guest of theirs once again. Mad props to my friends at Movistar for hooking me up! 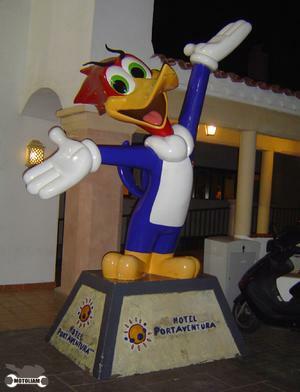 The Race was run from the parking lot of a giant amusement park called PortAdventura. It was very strange but the buffet was off the hook. Here's the coporate mascot - look familiar?